Here’s a round-up of some of the news from this month. The Alan Turing centenary shows no signs of abating. First of all, there’s a marvellous new art installation under Paddington Bridge in London, in memory of Turing. There’s also a theatre piece called Breaking the Code, showing at Manchester’s Royal Exchange Theatre until 19th November. Secondly, work continues to introduce legislation in the UK pardoning all gay men who were convicted of crimes related to homosexuality, in the same way Alan was a few years ago. Ministers said they were ‘committed’ to getting the law passed, but in an emotional session the bill was “talked out” by minister Sam Gyimah, meaning it wasn’t voted on. The London Mathematical Society (LMS) has been honoured this autumn by receiving the first Royal Society Athena Prize to recognise its advancement of diversity in science, technology, engineering and mathematics (STEM) within the mathematical community. The prize was awarded in a ceremony at the Royal Society’s annual diversity conference on 31 October. 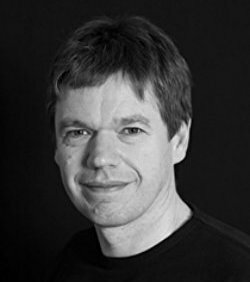 Mathematician, author and friend of the site Rob Eastaway has received the 2016 Christopher Zeeman medal, awarded to recognise and acknowledge the contributions of mathematicians involved in promoting mathematics to the public and engaging with the public in mathematics in the UK. There will be an award lecture taking place on 22 March 2017, and details will be announced in Mathematics Today and the LMS Newsletter. 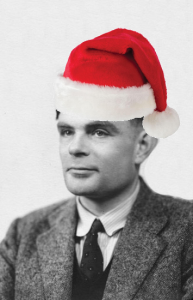 A couple of papers by Alan Turing have appeared on the arXiv. No, that’s right – The Applications of Probability to Cryptography and The Statistics of Repetitions are two papers Turing wrote during the Second World War, and they’re now available on the arXiv, transcribed into modern LaTeX by Ian Taylor. 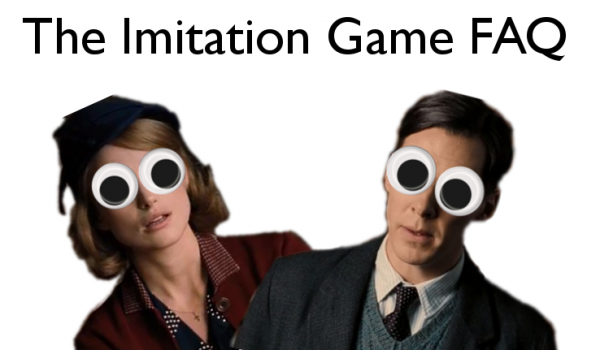 In an effort to save us from having to write up yet another Alan Turing-based news story, Adam Goucher over at Complex Projective 4-Space has kindly done it for us. Thanks, Adam! Since we’re the leading authority on Alan Turing news stories, and since it’s clear that anything is improved by the addition of LASERS, we’re proud to report that the Manchester Histories Festival, taking place across Manchester on March 21-28, will include LASER ALAN TURING. The art is a tribute to the impact he continues to have on how we live today in a digitally connected world. It was announced this morning that mathematician and codebreaker Alan Turing has been posthumously granted a pardon for his conviction in 1952 for gross indecency. The pardon is issued under the Royal Prerogative of Mercy by the Queen, after intervention from justice secretary Chris Grayling. The conviction was at the time standard for persons found to be practising homosexuals, and was applied to more than 50,000 cases. Turing’s punishment was chemical castration, although many others in his situation were sent to prison.